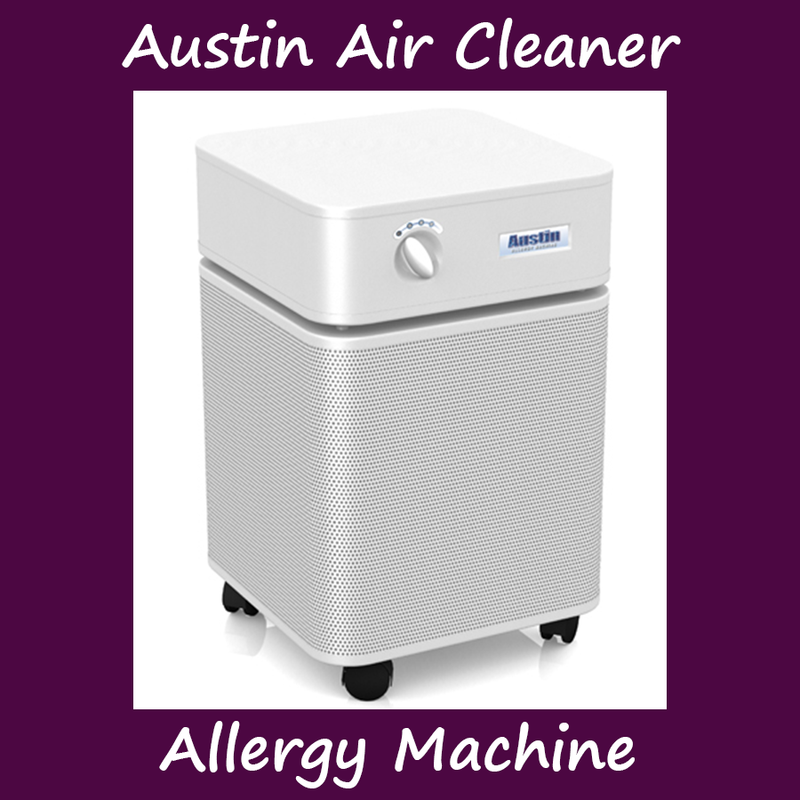 Recommended For: Allergies, asthma, odors, gases and chemicals. 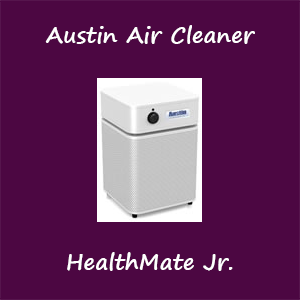 Benefits: Large amount of Carbon and Zeolite (15lbs) for chemical and odor removal. You will be contacted by email after ordering to confirm purchase and select unit color. Delivered to your door in 6-8 business days. Benefits: Large amount of Carbon and Zeolite (apx. 6 lbs) for chemical and odor removal. 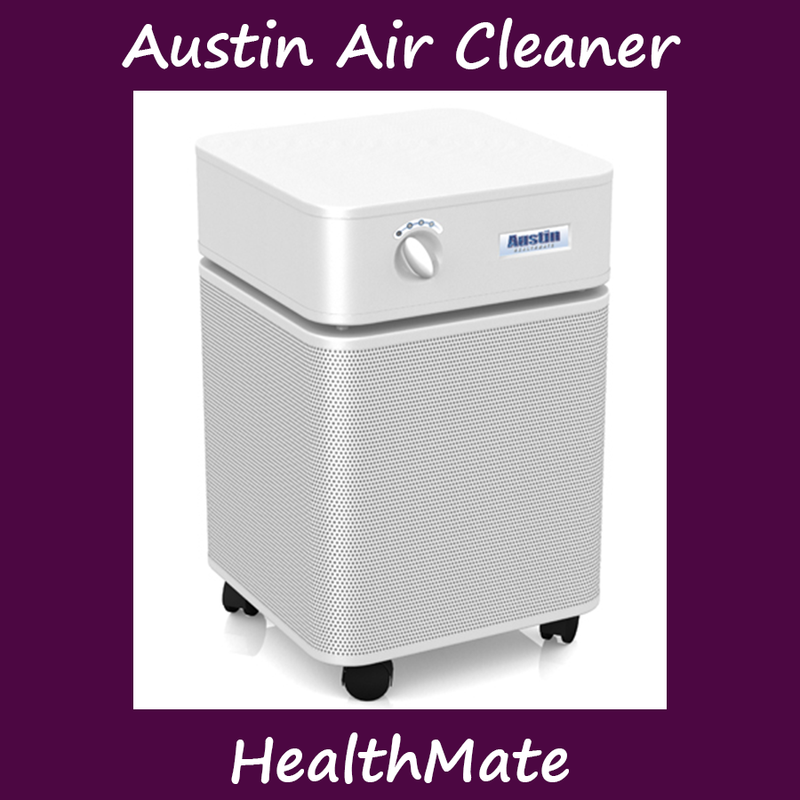 Recommended For: Allergies, asthma, odors, gases, chemicals and chemical sensitivity to formaldehyde. 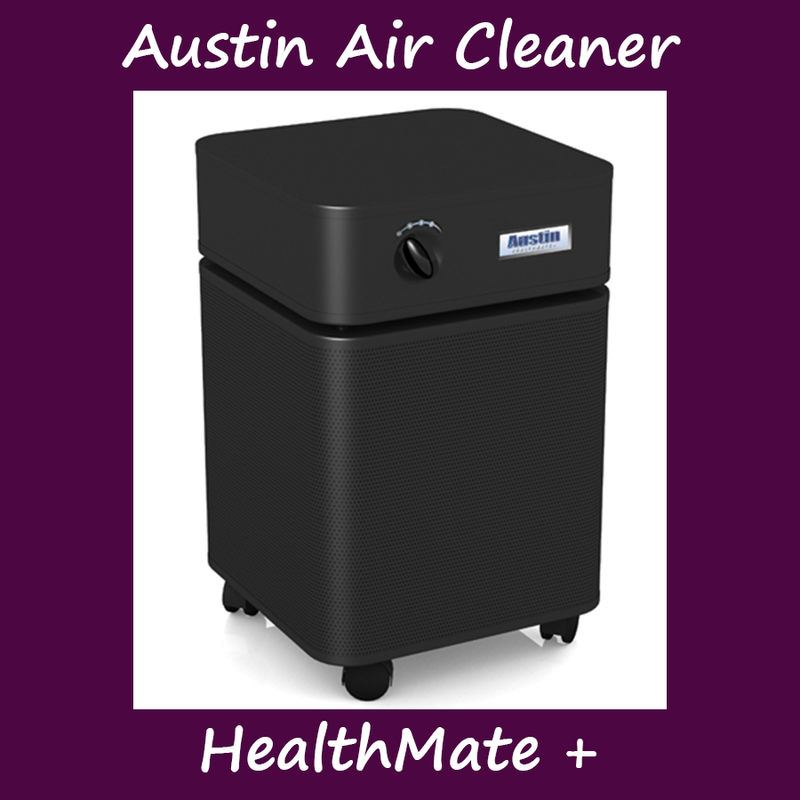 Benefits: Best filter for those with formaldehyde chemical sensitivities. 15 pounds of Carbon and Zeolite and Potassium Iodine for chemical and odor removal. 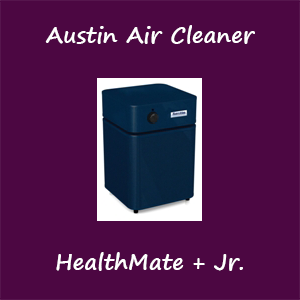 Austin Air HealthMate + Jr.
Benefits: Best filter for those with formaldehyde chemical sensitivities. Nearly 6 pounds of Carbon and Zeolite and Potassium Iodine for chemical and odor removal. Recommended For: Allergies, asthma, and smoke. 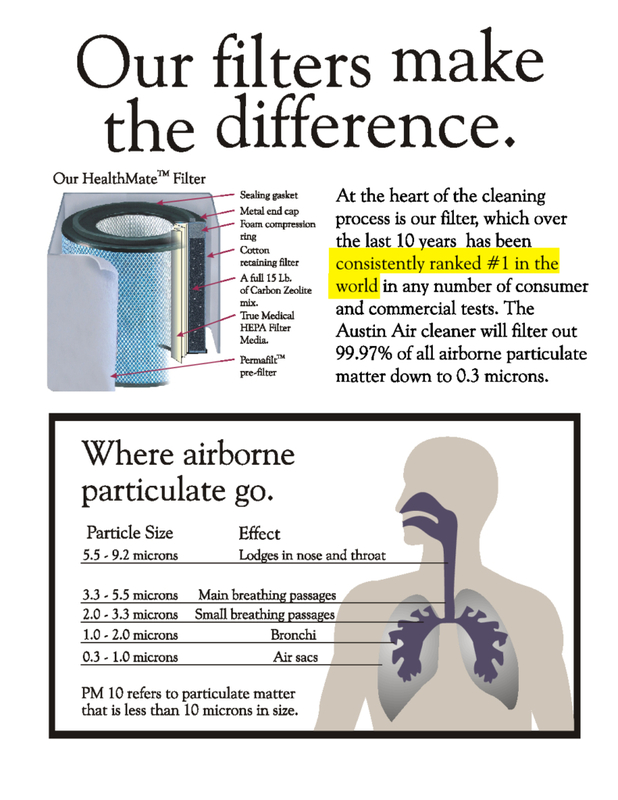 Benefits: HEPA is placed before Carbon cloth prolonging the life of the filter. 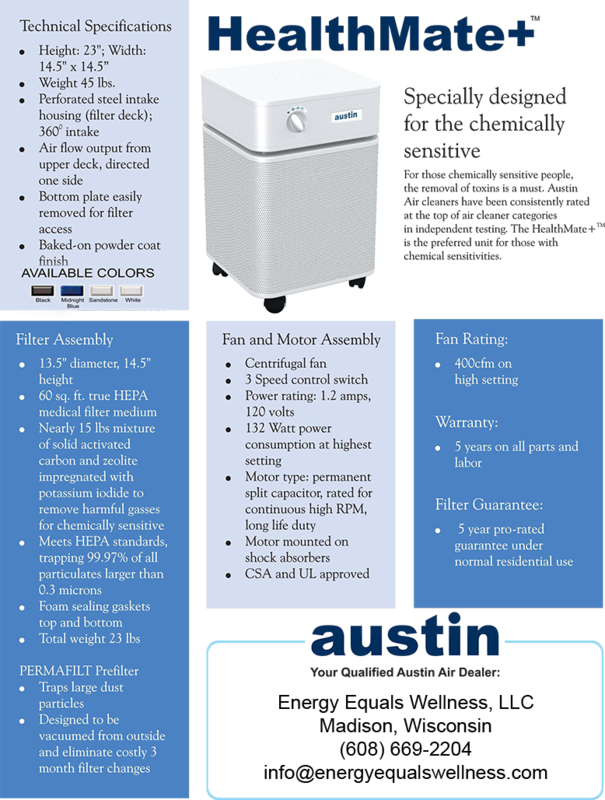 Light weight for easy room-to-room mobility and filter changes. 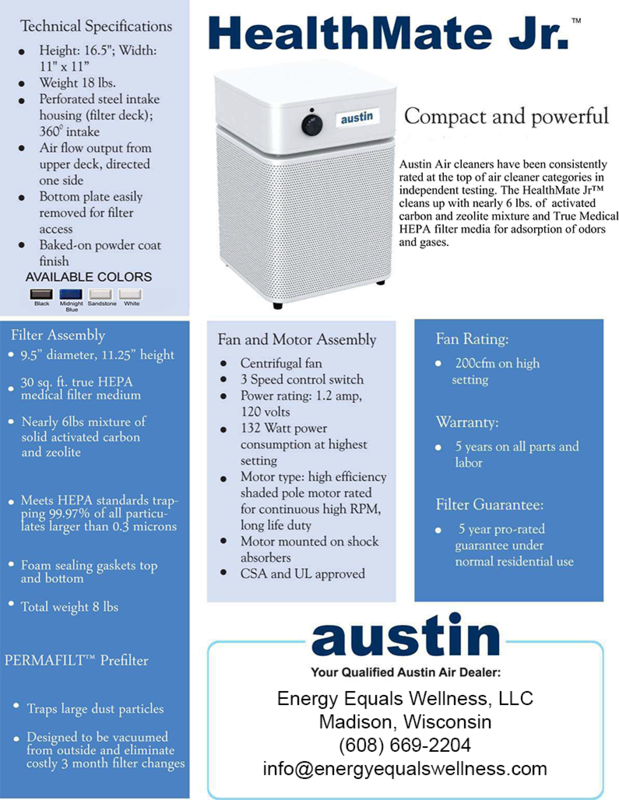 Benefits: HEPA is placed before Carbon cloth prolonging the life of the filter. Light weight for easy filter changes. 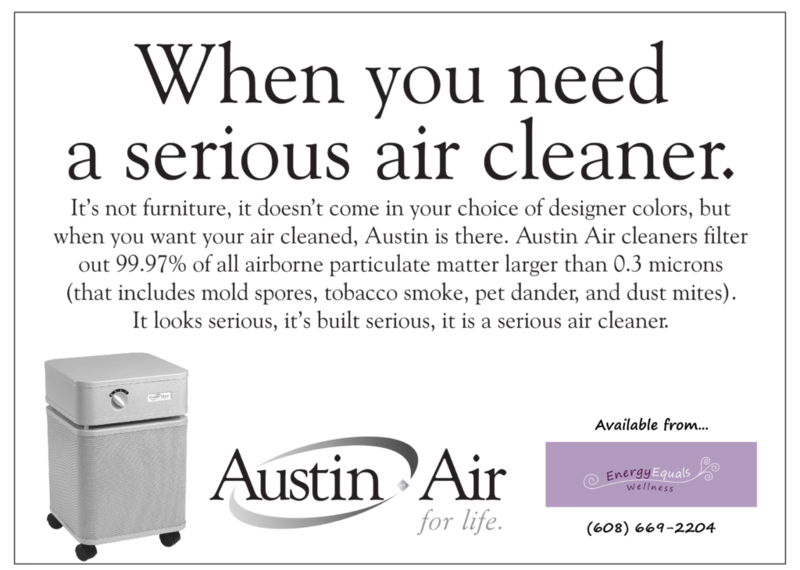 Recommended For: Airborne dust and dander, and pet odors that linger in the air. 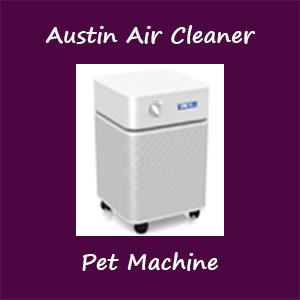 Benefits: Best filter for removal of dog dander, bird feather dust, and reduce cat allergens. Large amount of Carbon Zeolite (15 lbs) for chemical and odor removal. 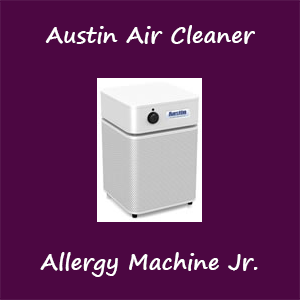 Recommended For: Allergies, asthma, odors, gases and chemicals including particles down to the nano size level. 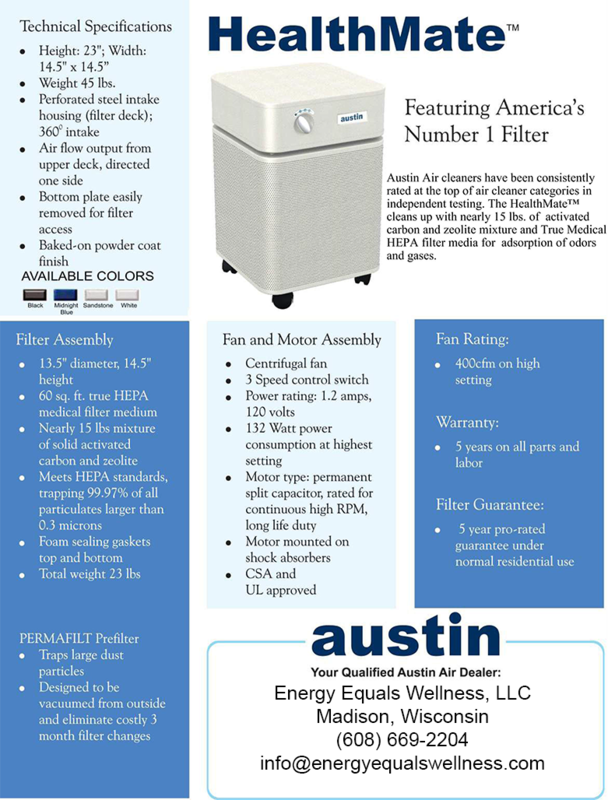 Benefits: Contains a 5-stage filter that effectively captures gasses and particles at even the nano size level. Filter contains 15 lbs. of Carbon and Zeolite mix as well as Carbon Cloth. 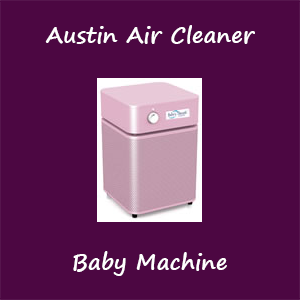 Recommended For: Babies, allergies, asthma, and smoke.